Kirsty Jane Gallacher (born 20 Januar 1976) is a Scots televeesion presenter. ↑ 1.0 1.1 "Kirsty Gallacher - Strictly Come Dancing profile". Strictly Come Dancing (BBC One). Archived frae the oreeginal on 14 November 2015. Retrieved 27 August 2017. 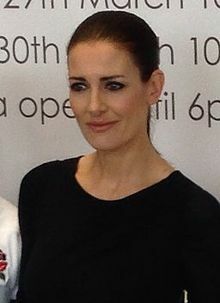 Kirsty Jane Gallacher was born in Edinburgh on January 20th 1976. This page wis last eeditit on 18 Apryle 2018, at 00:55.